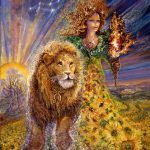 This week the major shift continues as Jupiter changes into the sign of Leo today, enhancing and enlarging all creatively expressive efforts… and love, of course. 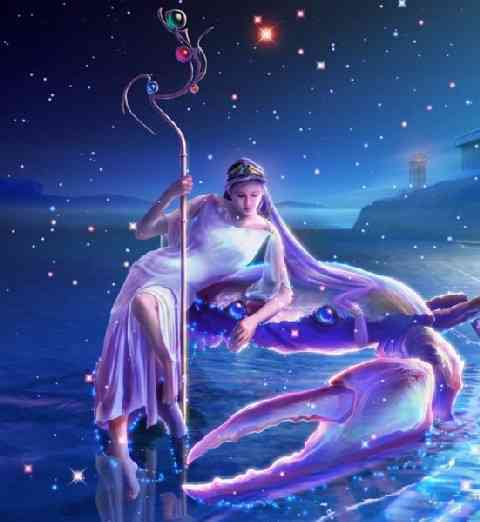 On Friday Venus changes into the sign of Cancer, highlighting and offering opportunities for beautification of the home, time to reminisce over family love and connection, and a kinder, gentler approach to the emergence of your most sensitive self. Saturn turns direct on Sunday and this is a big deal. It represents new forward momentum professionally, faster progress in the direction of achieving goals, changing social status, and a more authoritative approach to focusing your life in the right direction. Over the next few days, Saturn increases the pressure to release old, toxic limitations that “used” to hold you back. It’s a good idea, obviously, to cooperate with that. 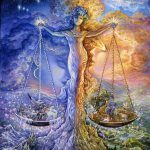 Mars enters the final degrees of its unusually long journey through Libra, the sign of courageous actions that bend relationships in the direction of justice and fairness. Hopefully we’ve secured (or will over the next couple weeks) a better position for ourselves in the world of relationships, most importantly, the relationship we experience with the physical, assertive, and courageous parts of ourselves. Pay attention, as the recent Full Moon in Capricorn suggests, to subtle signs, hidden in plain sight, that validate (or invalidate) the direction you’re heading into. Approaching the final stages of an energetic cycle involving your ability to feel effective in relationships – a difficult phase that forced you to re-align and balance the expression of assertion with gentleness and sensitivity – you may now be faced with the knowledge that you have reworked your role in relationships to the point where continuing along the same lines would undo gains that have been made. On the horizon is a much shorter, but more intense phase of transformation. Passion needs to be revived through one final pass and healing infusion over damaged trust and entrenched fear. 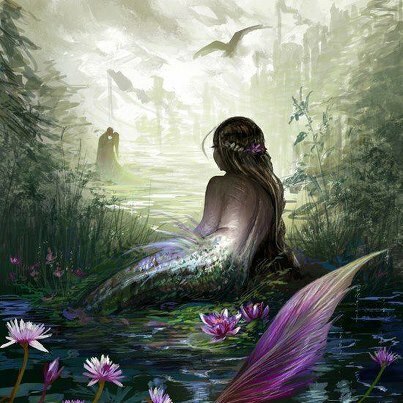 On Friday there is a pleasurable shift, time to relax, to feel more nourished through an emotional connection with home, family, the past, as well as feeling the rewards of efforts to connect more deeply with your emotional self. You may feel like celebrating a future that appears bigger and less restrictive, as emotional issues ease. 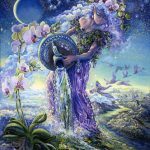 You may feel like celebrating yourself for the next year as your creativity explodes… and that may require more cooperation and compromise on the part of others who support you. Venus, your solar chart ruler, changes your focus this week. Your daily routine, conversations, and attitudes improve. There is a pleasantness that surrounds all activity involving the home, family, and expressions of nurturance. Routines feel easier, more full of love, and more naturally aligned with your preferred style and approach to life. The urge toward more expansiveness within the home/family “realm of life” may involve more financial collaboration, personal transformations, and trust. There is a shift this week within your primary relationships. You may sense some progress or forward momentum regarding future plans and freedom. Conflicts over shared responsibility present you with a final hurdle before it’s time to move on to a more direct, passionate, courageous, and transformative role within your most important relationships. This week may find you preoccupied with security, income, self worth, and the need to balance collaborative efforts with personal needs. Dealing with someone who holds power over your financial security may be an issue. Dealing with old, entrenched fears or feelings of indebtedness may be necessary. It may all feel very complicated. There is a shift toward forward momentum in your work life, finalizing an extended healing process that involved your role as a healer in the world. The need for more intellectual freedom, more expansive interests, or a more interesting course, impacts work as well as relationships. Good opportunities for more self-sufficiency emerge this week. Income may increase along with self worth and the more creative use of personal resources. Questioning old assumptions about financial support, collaborations, and possibly the need to release something stubbornly stuck, aligns you with universal energy that moves you in the direction of unshakeable self confidence and trust. 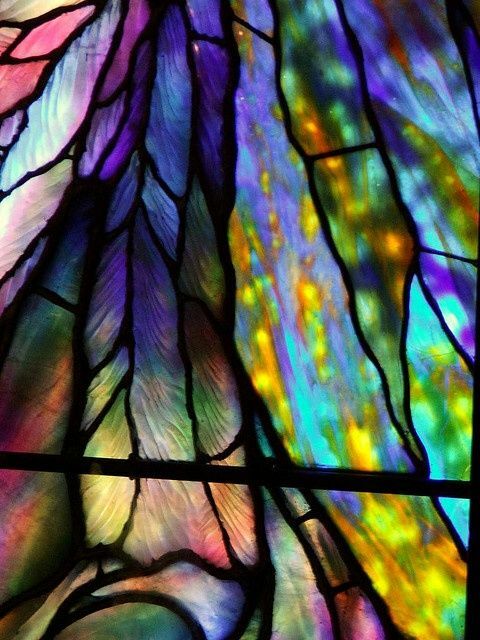 On Friday, you may feel reborn into a more pleasurable state. 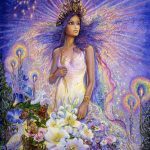 You’re looking marvelous and keeping yourself especially busy playing the role you most love to play – probably nourishing others through kindness and an especially accommodating approach. 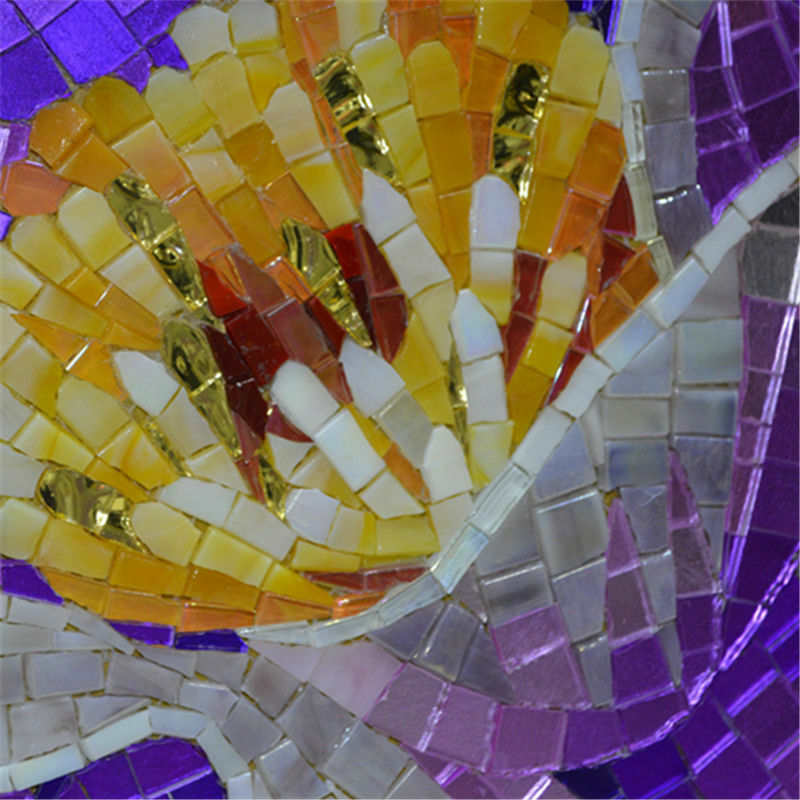 Something is newly revealed about what constitutes home, family, and security to you. Friends may play a key role. 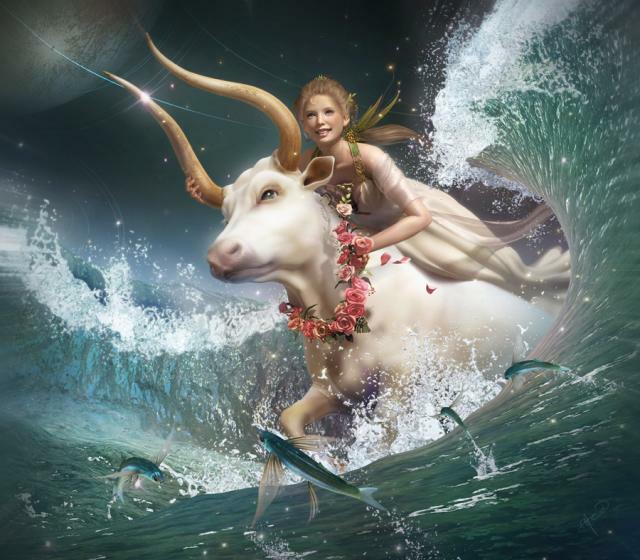 Jupiter may have you celebrating your competence, organizing ability, and some new opportunity for increased income, material security, and self-sufficiency. 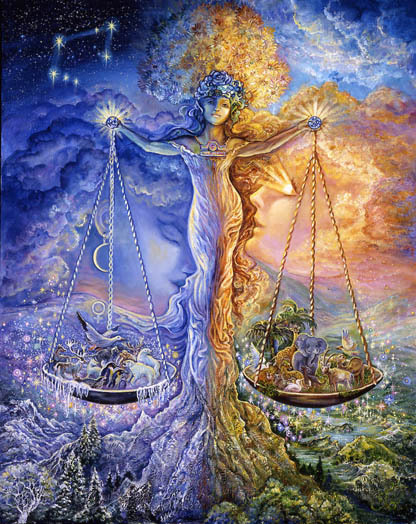 Balancing old tendencies to control relationships may be somewhat challenging as the week progresses. You may have to be more careful with what you say and the way you say it. Conflicts within family relationships have just about run their course. The hard work you’ve done to bring more balance into your home and work life may be challenged briefly this week, but, on the whole, you deserve a pat on the back. On the horizon is a more intense focus on children and the transformation of your creativity, social life, and love life. Today Leos enter a new era. No longer do they feel the need to curb their enthusiasm, temper their joy, or control their urge to expand way beyond current boundaries. Leos are happier now, exuberant, and maybe prone to over-the-top behaviors and out-of-control egos. But basically they’re essentially hugely entertaining and remarkably generous. It may feel to the whole world as though the spark of life, that had been missing for over a year, has returned with their re-emergence into full participation. Creativity explodes, love affairs thrive, children bring great joy, and the only thing in their way remains some hard work left to be done on the home-front. Perspectives have broadened, though, and with the emergence of their new, larger than life, more confident persona, they may feel more equal to whatever challenge lies before them. 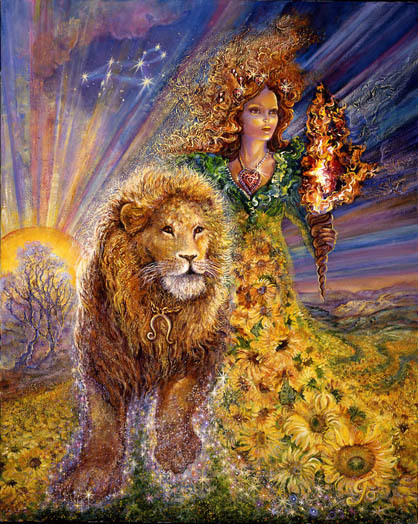 It is wise for Leo’s to control any tendency to exaggerate their role in partnerships. There is some distance between your mind and your heart that needs to be brought into alignment. It seems a little strange that heart territory and mind territory appear to be reversed or intricately intertwined. What normally feels warm and fuzzy may feel more business-like and what typically feels more remote may take on a more personal tone. This may constitute an awakening of some kind. Or it could exaggerate the need to escape, to hide, or to sneak away from some care taking role you’ve been playing with another or within the community. This week you’ll be torn in some way and your energy level may begin to wane. Starting now, and for the next year, you’ll be walking a fine line, deciding to use the nebulous and highly refined energy, now readily available to you, to give into escapist tendencies or surrender to spiritual guidance, to hide out or schedule more alone time to connect with the parts of you that have been neglected, to address problems on a deeper, more subtle level, or sneak away from them hoping no one will notice. Managing nebulous energy is tricky. The rewards for doing it well are valuable beyond measure, and the consequences for doing it poorly can be very personally undermining. 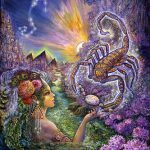 Scorpios are at the end of long road characterized by internal conflict and attempts to reconcile their outer life with their inner life. This week major shifts into forward momentum take place. These are characterized by a change in style to accommodate independence and a schedule that no longer feels so confining and complicated. 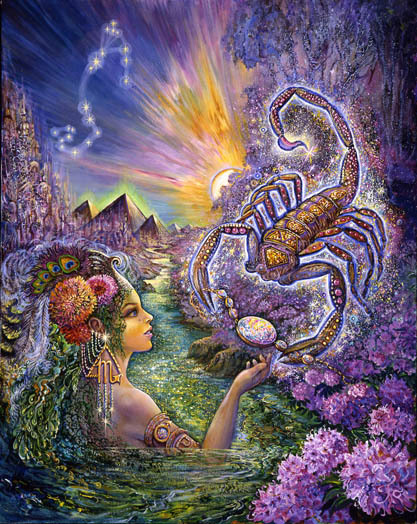 Scorpio are on the cusp of being able to express themselves more passionately. Energy that used to be consumed in attempts to control inner conflict are now being unleashed. This may feel like a jail break of some some kind. 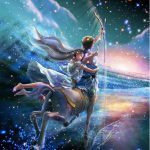 As Jupiter crosses into the professional realm of life, tremendous growth and opportunity over the next year is indicated. This may require the family to make accommodations such as a change in residence, schedule, or personal habits and preferences. 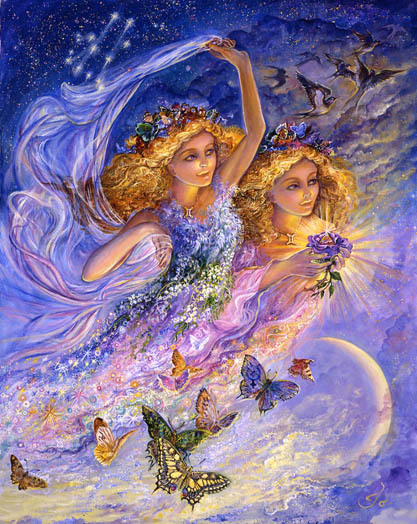 Visions for the future nourish your soul and feel more attainable than they’ve felt for quite some time. 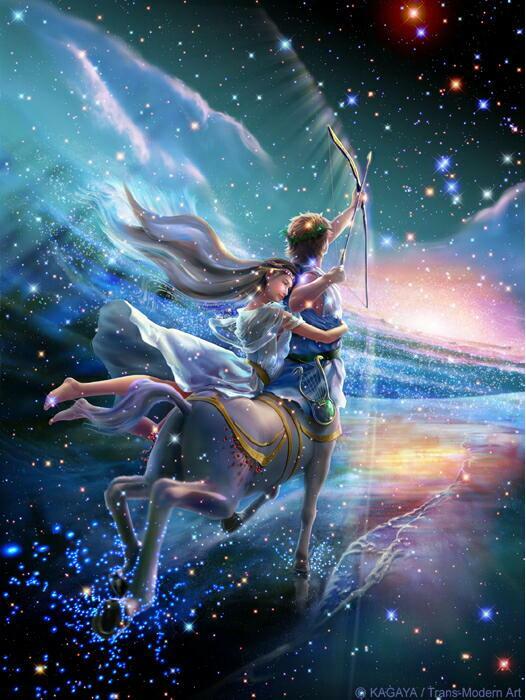 Sagittarians are feeling a definite inner shift in the direction of more integration and emotional freedom. Something has been addressed, resolved, or overcome recently that allows them to exist outside of their self-imposed prison. What can be manifested now is the future they’ve always dreamed of. Foreign travel is likely, or least exposure to some very foreign elements that encourage broader perspectives, more tolerant beliefs, greater optimism, and expansive moods. Waning is the intense and painful focus on transforming the consequences of past traumas, betrayals, and emotional conditioning. In fact, this week you may experience deep satisfaction, and, along with it, the ability to relax into a newly purged and purified, more authentic version of yourself. Life now begins to take on the feel of a better alignment with the innocence of more child-like states – states that are able to exist because they’ve never been damaged or because there’s been tremendous progress toward complete healing. 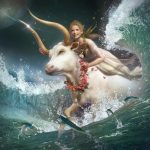 Capricorns approach to communication is not to “sugar coat” reality. Their straight-forward approach can feel abrupt and insensitive, but, for them, it’s about integrity, telling the truth, and being a reliable source of accurate information. 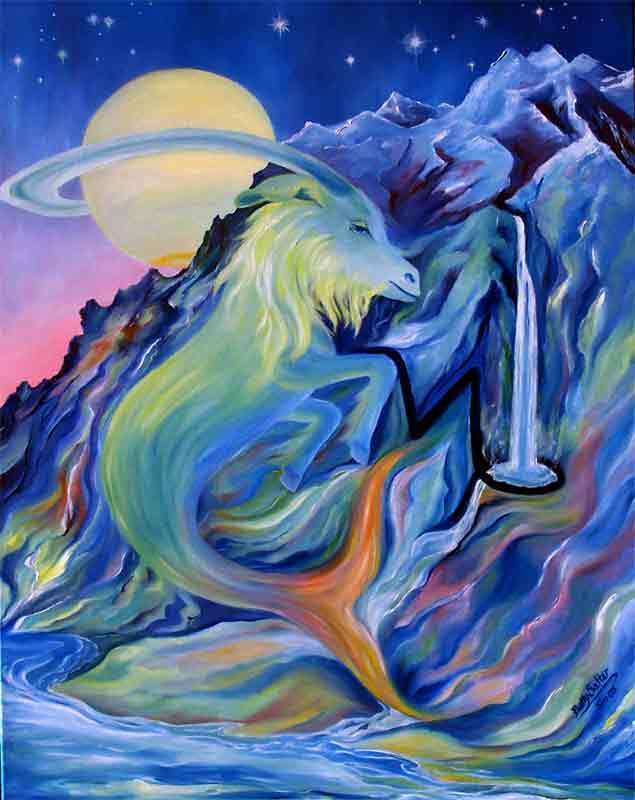 Over the past many months, Capricorn’s definition of reality has deepened. They’ve become sensitized to subtle truths and intuitive information. They’ve been shown how beliefs can change reality in very concrete ways. As Saturn moves direct, their communication begins to reflect subtler aspects of reality, to reveal an expanded understanding, and an evolving, more holistic point of view. 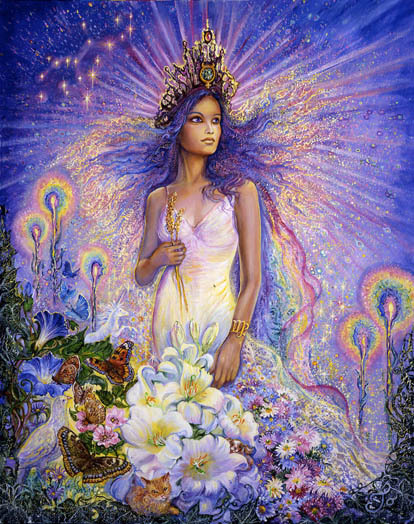 Healing that’s occurring allows for a softening of the more negative, inflexible, and authoritarian qualities of their sign. 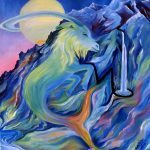 This week Capricorns are challenged by others to adjust their “signature structured style,” as they begin to blend and integrate, carefully and deliberately, their wiser, more expansive perspective. 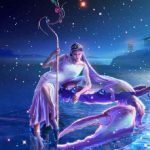 Aquarians have just completed a major phase of inner personal development that required a prolonged period of expansive and intense inner focus. Central to their lives was continual questioning, ongoing, and brutally honest evaluations, and moving courageously ever-further into foreign and forbidding emotional and spiritual territory. This process is finally complete and Aquarians have everything they need to move into their new, more “outwardly focused” role. Your vision has actually manifested (or will very soon) as you find yourself in the right place, doing the right thing, at the exact right time. You may finally fully understand how you fit perfectly into the scheme of the universe. 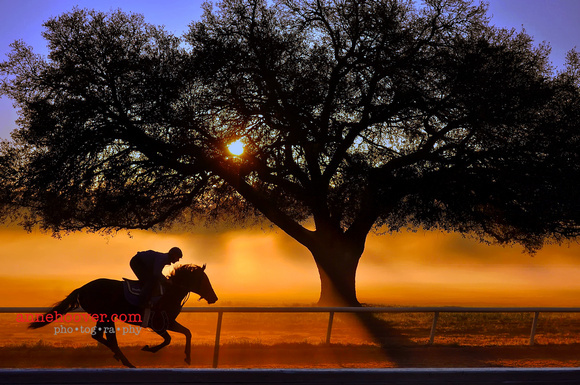 New beginnings are characterized by more involvement in the community through the unrestricted contribution of your special gift or talent. You are coming from a place of love, knowledge and experience and it’s time to share your wisdom with the world for the full benefit of mankind. 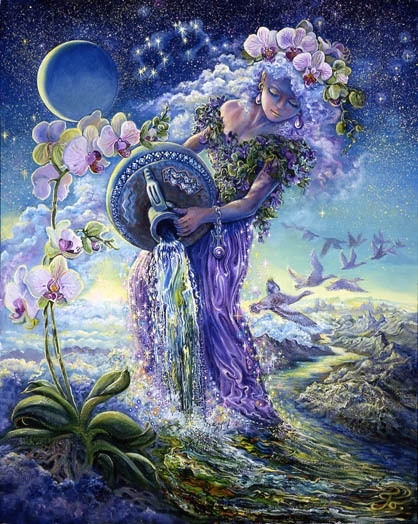 Jupiter signifies the dawning period of increased work on, and responsibility toward, yourself. 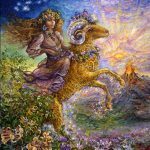 While the recent past represented a period of “weeding out” relationships and situations that no longer held meaning for you, your current astrology points to the need for a kinder, gentler, more respectful approach to yourself. Increased mindfulness of your inner dialogue with yourself is now critical. That may require a lot of focused work involving the purging of old habits characterized by harsh self-judgement. You are now being required to consider an expanded view of who you really are and what you actually need. Loving yourself more is now a pressing issue. It involves a more caring and consistent approach to holding your inner spirit in high regard – treating it with deference and deep respect. 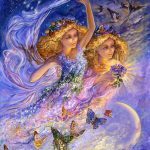 This is a period of major re-alignment and self-purification that determines, more than anything else, your ability to be a creative and effective force for good in the world.